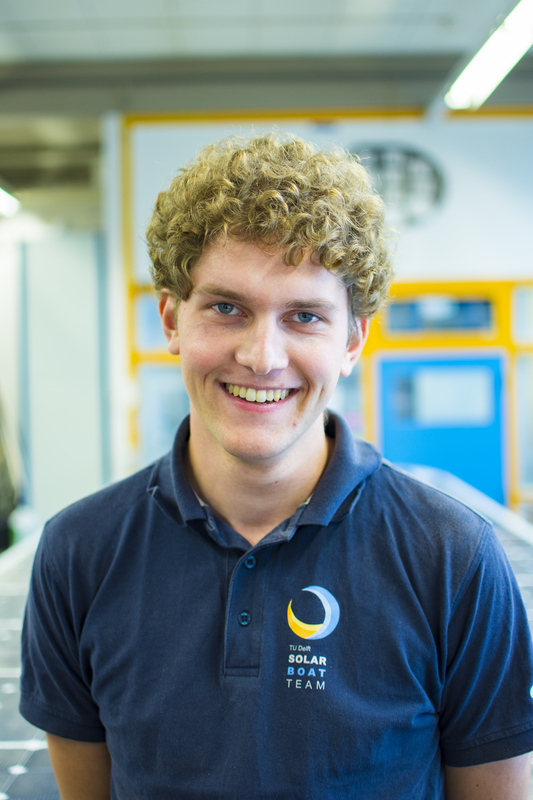 I’m Olmar and this year I’m Chief Electronics from the TU Delft Solar Boat Team. I got into the Solar Boat Team because it stands for pushing boundaries in efficiency. In our case that means to do as much as possible with the energy you have, and thus sail as fast as possible on only the energy delivered by the sun. My goal this year is to design an electrical system that is as efficient as possible, and will always function, with the Electronics department. This year we want to win the Independent Offshore class in Monaco with the team. To make sure we do, I want to design a reliable, intuitive, and extremely efficient electrical system. To do so, I will make sure to work precise on my designs of for example PCBs, but also as a chief to check the rest of the department on quality of designs and make this insightful by having good documentation rules.